I spend about four or five hours a day doing homework, and even with that I never seem to catch up. But now! Now! I've finished three out of four assignments (including that dreaded PAPER, which took four hours of concerted effort and many a Google search) due Monday, and I still have tomorrow – the full day – to complete a simple reading and annotation of a scholarly article. In other news, it's about 55 F/ 13 C here right now, and most of the 4 – 5 inches of groundcover snow we've had for months has MELTED. All of its beautiful wickedness! What's left are the 6 – 8 inches of snow plowed off streets and parking lots – ugly, grey, dirty snow that's mostly compacted ice. Ugly stuff. 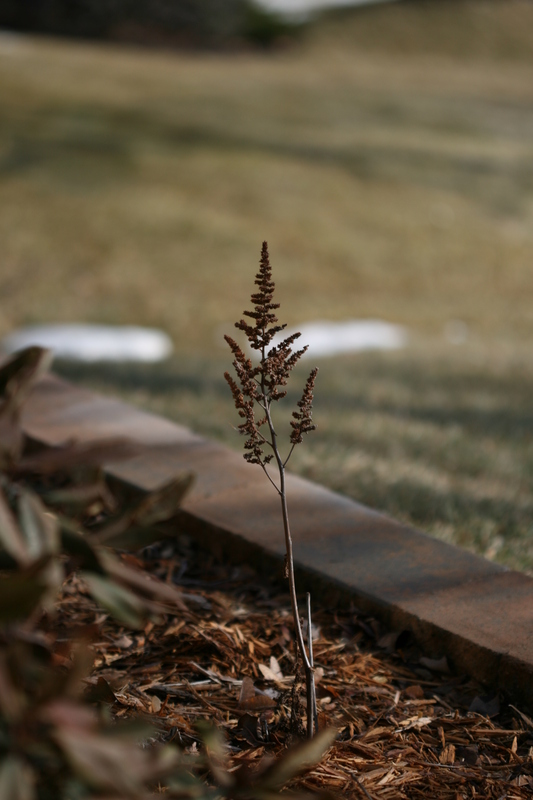 Though our view now is of dormant, brown grass, that's okay. It's step one toward more consistent spring-like weather. We're not out of the woods yet. Oh, no. We're very likely to have another snowfall or twelve, but at least we have today, and a promised couple days of warmth next week. No, no, they can't take that away from me. I wish tomorrow promised to be as nice. Figures the one weekend day I could take time off to play it's only going to be in the high 30s and rainy. Still, that beats the single digits. It won't be a problem knocking off that last paper tomorrow, with no sunny, warm weather to distract me. Maybe I'll even get a head start on homework and reading due the week after next, or get further with the paper due in April (the one on the theme of gay/lesbian teen literature). Not as much to complain of today, but I'm sure with a bit of effort I'll find something. Now there's the old spirit! Next Post In need of divine intervention.